Prepare your Houston pool for the end of the season with these quick tips, and swimming pool maintenance will be quick and painless! WHEN’S THE BEST TIME TO START CLOSING THE POOL? Smart pool owners will begin testing the water of the pool one week before fully winterizing their pool. Regularly begin checking the weather forecast starting in September and make sure that you leave yourself enough time to close the pool before the temperatures sink below freezing. TO EMPTY OR NOT TO EMPTY? Not sure whether you should completely empty your pool or not? When in doubt, it’s always best to keep the pool full rather than drain it. Draining a pool without taking the proper precautions can result in the build up of hydrostatic pressure, which can completely destroy in-ground concrete pools. HOW SHOULD I CLEAN THE WATER? 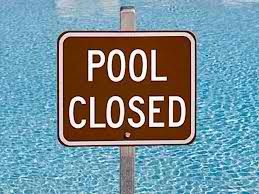 On the day that you plan on officially closing your pool, take the time to thoroughly vacuum all areas of the pool. Check your pool filter and see whether or not it has a “waste” indicator”. If not, make sure that the vacuum is kept only on the “filter” position. DO I NEED A WINTERIZING TREATMENT? While they might not be necessary for your Austin swimming pool, winterizing treatments are a “must” for anyone who lives in a colder climate, as the water in your pool can become corrosive when temperatures dip below 28°F. HOW LOW SHOULD THE WATER GO? Vinyl-Lined Covers: 1 inch below the skimmer mouth (or more if you receive heavy snow and/or rain during the fall/winter). Painted/Natural Finish Solid Material Cover: 6 inches below the skimmer mouth. Plaster Finish Solid Material Cover: 1 to 6 inches below either the tile line or the skimmer mouth (whichever is lower). Automatic Cover: Maintain a water level that is at around the same level as the bottom of the skimmer mouth.